We are really proud to be a part of the Brighton & Hove community. We are always looking to work with local businesses and community based projects to build a better service for you and Brighton & Hove. Collaborations between businesses, causes, musicians and artists will help to build an even more vibrant community in Brighton & Hove.  We are happy to be a part of this community and are proud of working with great businesses such as GAK, Ackerman's Music, Sussex University, Brighton College and more to make Brighton & Hove a better place to live. GAK stock a range of the best digital pianos that you can buy. They also have a pro audio and Very lovely staff and a wonderful wealth of advice. Richard Brincklow is the captain of the digital piano shop and is as knowledgeable as you can be about the specs of the stock they have in. They are all musicians themselves and as such know the pros and cons of all the gear. Ask anyone from Brighton about the yellow building and they'll be sure to know what you mean. They are a Brighton landmark. They are just about the cheapest provider of music gear around and they'll always compete on a price. Founded by Carola Grindea in 1978 in London it has today grown along with the expansion of the European borders. Every association organises its own congresses, workshops, seminars, recitals, masterclasses and is committed to present Young Artists Platforms, Competitions and European Young Artists Festivals. An Annual Conference of all EPTA Associations is held every year in a different country under the presidency of the host Association. Brighton Piano Warehouse was originally started by Peter Shooter in 1970 and is currently being managed by both Peter and his daughter Gemma Prior-Shooter. They are really friendly and very very helpful. They supplied the train station with the piano that's up there at the moment. Brighton Piano Warehouse is an established, family-run business that stocks a wide range of new and used pianos to suit any music professional or beginner. Peter Shooter originally established the business in 1970 and has since been joined by his daughter, Gemma Prior-Shooter. Together, they are dedicated to sourcing only the finest pianos, including upright, grand and digital pianos - including related accessories - for sale and hire. Their wide range of new and used pianos will suit and interest both beginners and professional pianists. Their services include piano delivery, removal, storage and insurance valuations. Call them on 01273 601 989. Brighton College is our chosen location for all of our piano concerts and their facilities are excellent. A number of our piano students have won music scholarships here. Many of them have then gone on to study at places such as the Guildhall in London. We are really happy to be working together with them to offer our piano students the best facilities that we can. The school is a global leader of creative and professional practice and promotes innovation, experiment and research. Selected as one of the top ten institutions for performing arts in the world (QS World University Rankings 2016) and the top-rated conservatoire in the Guardian University Guide 2017 league table for Music, it has over 900 students in higher education, drawn from nearly 60 countries around the world. The School is also the UK’s leading provider of specialist music training at the under-18 level with nearly 2,500 students in Junior Guildhall and the Centre for Young Musicians. We very happy to have been working together with Sussex university for a number of years. We offer tuition to their students and provide their music degree students with job opportunities and training in piano tuition. 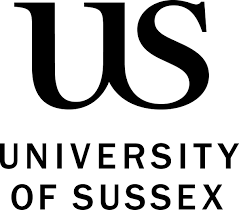 The University of Sussex is a leading research-intensive university near Brighton. They have both an international and local outlook, with staff and students from more than 100 countries and frequent engagement in community activities and services. Brighton sinning lessons is run by the excellent Eimear. Here is what she says about her school. "My name is Eimear and I am a professional singing teacher based in Brighton. I studied singing at The Royal Academy of Music, London, The Royal Academy Opera and at English National Opera. I currently teach at The Brit School. I previously taught at The Montforts College of Performing Arts and The Cork Academy of Music. Many of my students have been accepted into music colleges of their choice including Arts Ed, The Academy of Contemporary Music, London, Guildford and The American Academy of Dramatic Arts, New York. I have taken students from Grade 1 examinations right up to diploma level with various pop, classical and musical theatre examination boards." 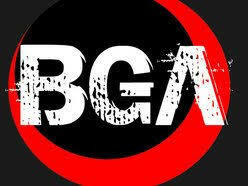 Your guitar academy was setup by a good friend of mine Dan Holton and they are doing a fantastic job. Here's what they have to say about their service in Brighton. "The idea behind Your Guitar Academy is to deliver the highest quality guitar lessons and guitar tutors to as many people as possible across the UK. Your Guitar Academy Brighton takes on only the most dedicated, experienced and enthusiastic guitar tutors that Brighton has to offer! Don’t just take our word for it though, check out these awesome testimonials from all of our wonderful students!"